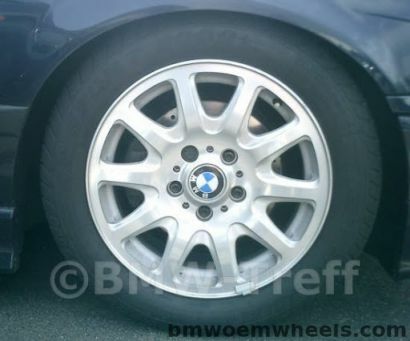 BMW Style 25 factory original wheels. BMW Style 25 created in diameter of 16" inches. Originally made for BMW E39, E36, E46, Z3 and E38 models, and created for winter season tyres. Product number 1090224. Official wheels name Classic-Styling.